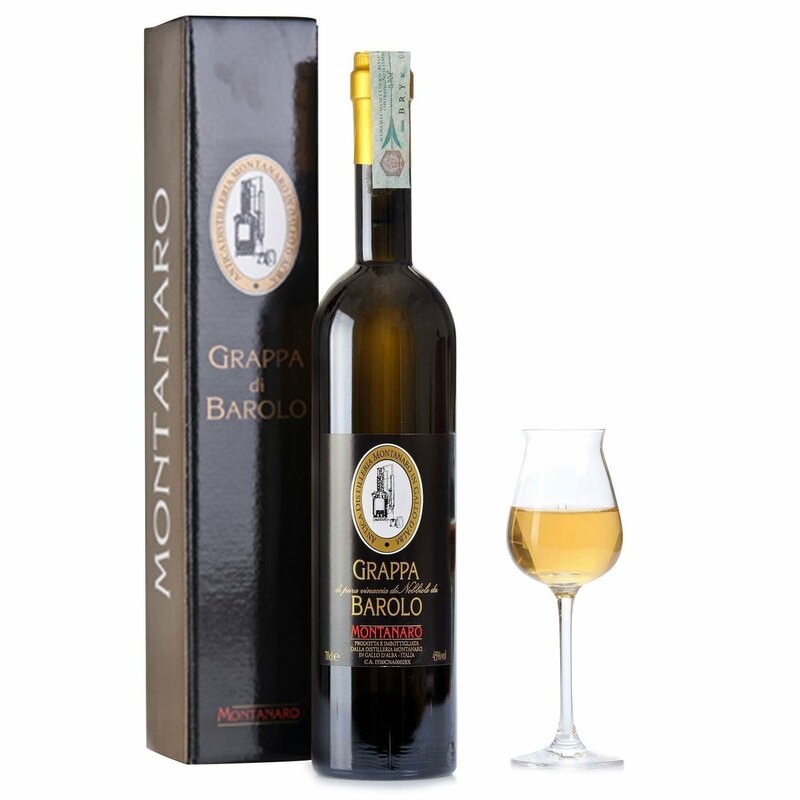 Grappa aged in Slavonian oak barrels, selected from Nebbiolo marc pressed in making Barolo. After pressing, the marc is processed in the traditional ' steam stills', preserving all the aromas and perfumes of the original muscat wine. During the distillation process, impurities are eliminated and the grappa becomes limpid. The spirit is then placed in fine wood barrels, and left to mature for years in special aging cellars. During this aging process, the grappa di Barolo develops the smoothness and tell-tale straw-yellow colour indicating long years of maturation.